An Elk Grove woman was robbed in front of her residence on Saturday night. The victim was walking towards her front door on the 8900 block of Sierra Street in Old Town Elk Grove when she was approached by an unknown suspect. 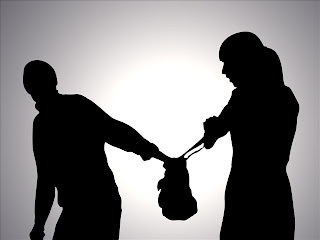 The suspect grabbed the victim's purse, and after a short struggle, he gained control of the purse and fled on foot. The suspect was last seen getting into the passenger seat of a white van that was driven by an unknown person. The suspect was described as a Black male adult, with a thin build and was wearing a black jacket and black pants. The victim was not hurt and responding officers were unable to locate the suspect.